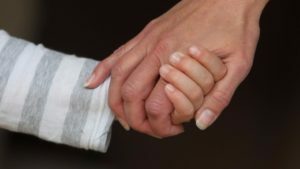 What does it take to have a career in care? Social care is a growing sector with rewarding careers, different job roles and great opportunities for progression. Careers in care provide job security and help you gain a sense of personal achievement by helping others and making a positive impact on people’s lives. The care sector is a very diverse field with a variety of different paths to pursue. For example, you could work with children and young people, adults that have additional support needs and disability, the elderly or even families. Regardless of what part of the care sector you want to pursue, there are a many essential attributes that are universal across any caring job. Some of these attributes are; having a warm and sociable personality in order to interact with those being cared for, good communication skills so that you can communicate with families and other carers; being patient and supportive and understanding so that you can help individuals be able to function independently (like everyone else people in care can have good days and days which are a bit more challenging) someone who can be supportive can ease the strain on individuals and families and help them to be included parts of society. Each day as a carer offers something different to the last so this is a great job to do if you like variety. Carers often have to tend to the daily needs of clients so they can live with dignity as well as planning and organising leisure activities, transport and budgeting finances. You will get the opportunity to interact with people across different levels from health care professionals, to the clients and their families. Being a carer can be pretty action packed but the role that carers play is an invaluable part of many people’s lives. For those who like flexible working hours then a career in care can offer that. Carers usually work shift patterns, which means that you can work can work evenings and weekends or stay overnight depending on the circumstances. Most care roles offer the choice to work on a voluntary basis, part time or full time. Although most people don’t decide on a career in care based on the salary alone, an experienced carer can earn around £24,000 per year and managers around £30,000 per year. The care sector has a variety of openings through, charities, not-for-profits, local authorities and the private sector. The best way to start a career in care (aside from doing a professional qualification) or even find out if a career in care is for you, is by volunteering. Volunteering allows you to gain experience and learn new skills whilst being supported. If applying for a career in care bear in mind that extra qualifications such as first aid or a food hygiene might put you at an advantage in the eyes of employers. To conclude, a career in care offers a wide array of prospects, it is a path that can often be challenging but even more rewarding. By using some of your skills and personality you are able to make a big difference for many people’s lives. There is possibilities to climb the ladder as well as being able to work flexibly around your own life. The skills and experience you will gain will be able to translate into all forms of work. If a career in this sector is something that interests you, then check out the various exciting jobs on www.charitycareersscotland.co.uk to see if there is a position that is right for you.